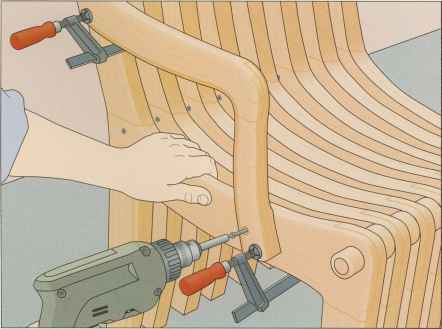 You can add arms to the curved chair, applying the same design and joinery methods used to make the individual units. 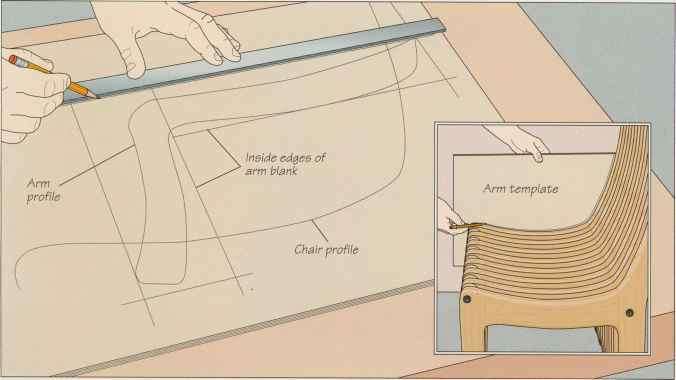 Start by preparing a template, holding a piece of hardboard against one side of the chair and marking its outline with a pencil (inset). Then design the arm so it will be both comfortable and visually pleasing; the armrest part should be 8 to 9 inches above the seat. 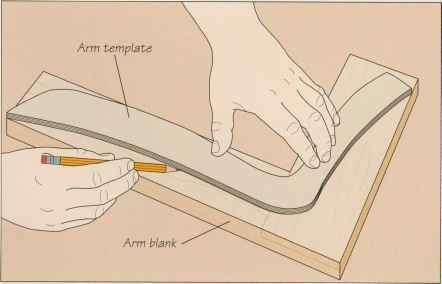 Next, use a pencil and straightedge to outline the L-shaped arm blank on the template (above), making it as wide as necessary to contain the arm profile. 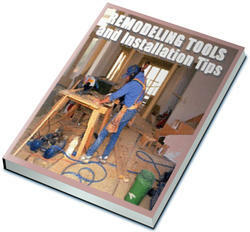 Cut the template on a band saw (photo, page 36) and sand the edges smooth. Make each arm blank from two boards joined into an L shape by half-laps (page 37)-, refer to your template when sizing the boards. Set one of the blanks on a work surface, position the template on it and use a pencil to trace its outline on the stock (right). Mark the other blank, then cut the arms to size on a band saw (page 36). Smooth the cut edges, sanding the stock to your cutting lines. Round over the edges of the arms, except where they contact the chair. 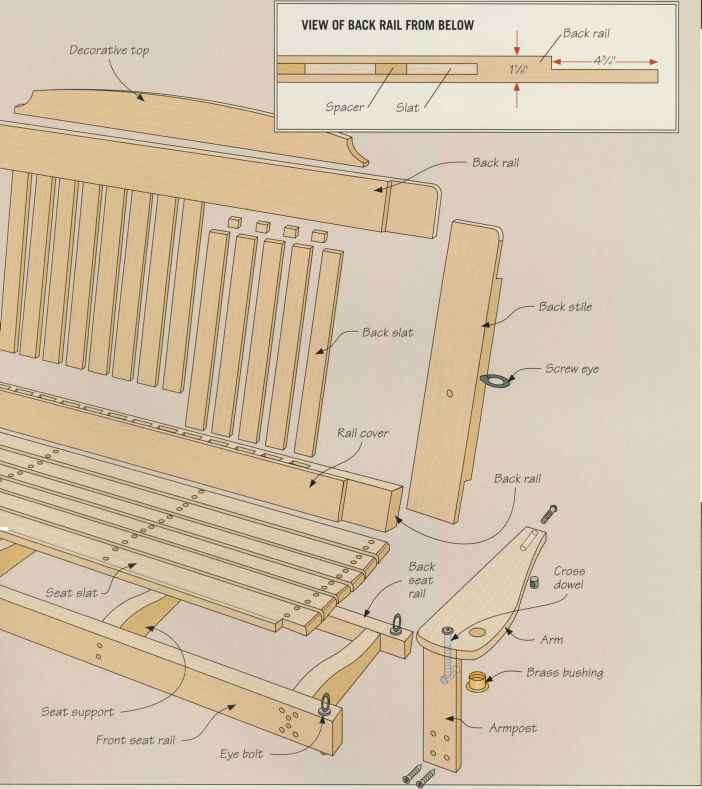 To mark out these areas, position each arm against the chair and draw a pencil across it along the top of the seat and the front edge of the rear leg. Remember to mark out right- and left-hand versions of the arm. Install a piloted round-over bit in a router and mount the tool in a table. To provide a bearing surface for the arms, fashion a guard for the bit and a fence for the stock to ride against the infeed side of the table. Screw the guard and fence together and clamp them to the table. Press the workpiece against the pilot bearing as you feed each arm across the table, then turn over the stock and shape the other edge (above). When rounding over the inside faces of the arms, start and stop the cuts at the marked contact lines. Drill two clearance holes through each arm—one at either end—and apply glue to the flat areas that will contact the chair. 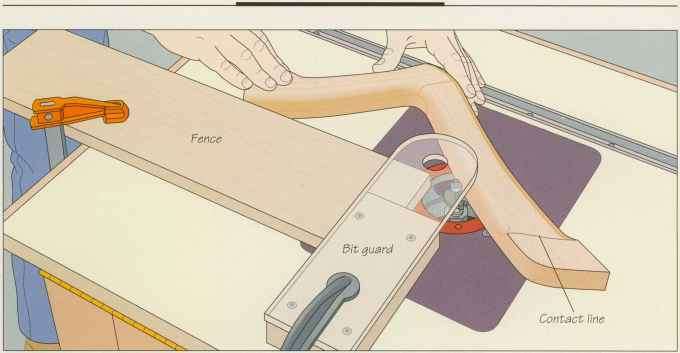 Clamp the arm in position on the chair and fasten it in place (left).